Could we love you any more than we already do, VB?! 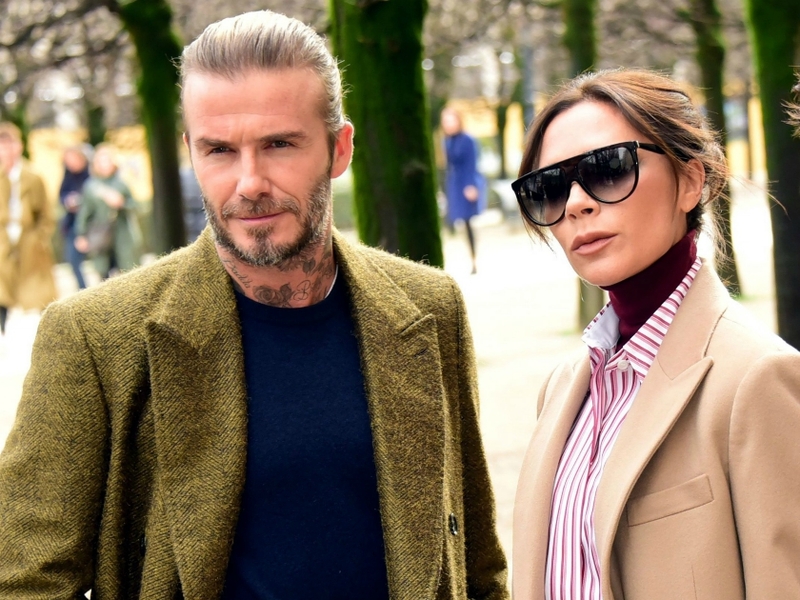 We’re used to seeing the ever-flawless Victoria Beckham looking polished and preened at all hours around the clock. However, despite popular belief, even VB likes to let her hair down every once in a while… as demonstrated during the fashion mogul’s well-deserved recent night out. Yup, even Posh Spice can’t avoid a bit of a long-winded tipsy rampage on social media – we’re in great company! Yesterday, the 44-year-old took to Instagram to document her night on the tiles with her mum and dad and close friends. Taking the group of loved ones along with her to the West End, Victoria and co attended a late night performance of Tina Turner The Musical. 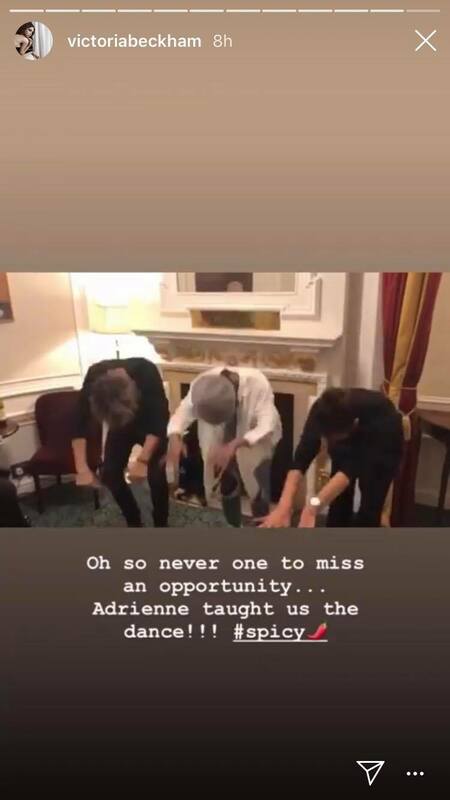 And despite her mega-millions, Vics opted out of coughing up for the pricey theatre refreshments – instead supplying her guests with their own hip flask of tequila for the show! Explaining that she had been warned that the wine available in the theatre might not be suitable to her palate, she’d instead taken measures into her own hands. 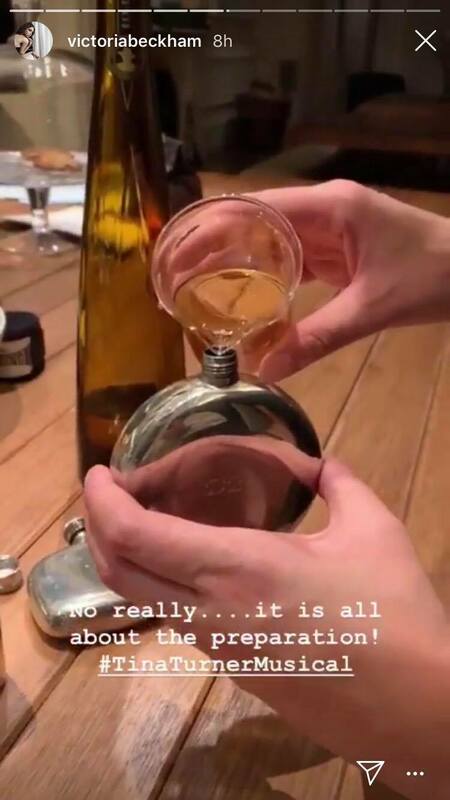 Preparing the nightcap for the flasks, Victoria revealed she’d even gone as far as to personalise them – with the names of her mum Jackie, hairdresser and close friend Ken Paves, a friend and journalist Derek Blasberg engraved on each bottle. 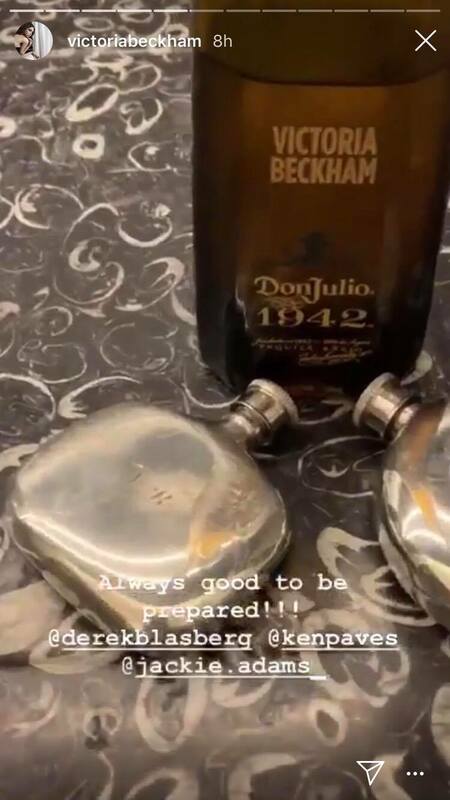 Captioning the footage, VB advised followers that it is ‘always good to be prepared’… especially when it comes to tequila! After watching the performance, Victoria returned to social media to update fans – having been hit by a bout of Tina Turner-esque inspiration. Standing alongside two cast members, the mother-of-four recited some choreography from the show. ‘So much fun tonight!!! #TinaTurnerMusical @derekblasberg @kenpaves x kisses @adriennelwarren that was the best performance I have ever seen!!!!! X WOW,’ she captioned the video. Posing in the back of her cab home, VB feared she had made her ‘tan run with all the dancing’. Can we come next time, Vics? !